After tasting the Get Quenched Water Company difference, you’ll never drink from the tap again. Try the water coolers Calgary is crazy about! Serving all of Alberta, we provide state-of-the-art, jug-free water filtration solutions to bring great-tasting, chlorine, rust, asbestos fiber and contaminant-free water to your home or office. Since 1997, we’ve been keeping Albertans hydrated with crisp, clean, healthy and delicious water. Sure, you could just drink a glass of Alberta’s tap water, but you’ll never know what you’re getting. 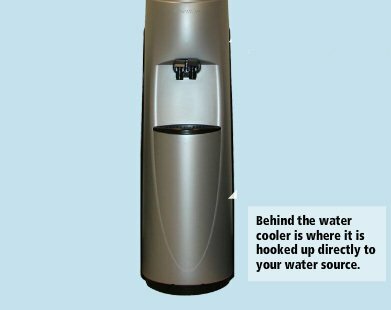 Unlike some of the other water coolers Calgary uses, Get Quenched Water Company filtration systems remove 99.9% of chlorine from water to eliminate unwanted tastes and odours along with dirt particles, lead, asbestos, turbidity and harmful cysts such as Cryptosporidium and Giardia Lamblia. Once you go filtered, you’ll never want to go back. All of our products are powered by Everpure filters. 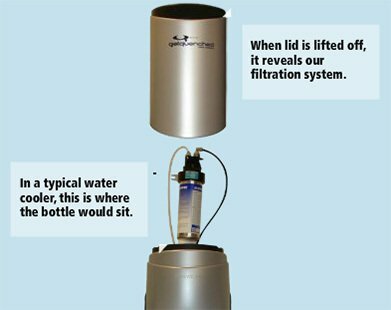 An endless source of delicious, purified water is just one of the many benefits of owning or renting a Get Quenched Water Company filtration system. 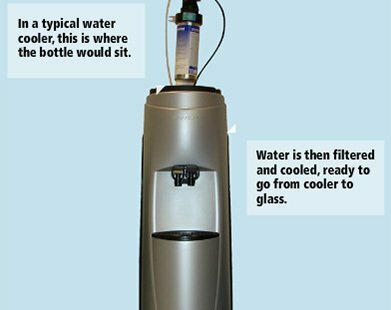 Say goodbye to bottle deposits, reconciling water delivery receipts and invoices, heavy lifting and more with one of our bottleless systems that help protect the environment and provide your businesses’ employees with an abundant supply of refreshing filtered water whenever they need it. For more than 19 years, we’ve been providing homes and businesses throughout Alberta with great drinking water. Get Quenched Water Company systems are made for those who appreciate quality as much as good health. When it comes to your water, why settle for anything less? Get in touch with us today to learn more! "After using bottled water for years, having the plumbed in water system is more convenient and easy to use. Not only is the service local, so there is a personal feel but when service is needed it happens quickly and smoothly. Were extremely happy with Get Quenched and would recommend their system to anyone struggling with the pains of the bottled water systems." "As a local construction company on well water, we were in need of a premium water filtration system. Get Quenched was an excellent solution! We were able to enjoy quality water for a low fee that never ran out. We have since moved but couldn't go without out them. We love the ease of never having to worry about something as simple as good quality water."